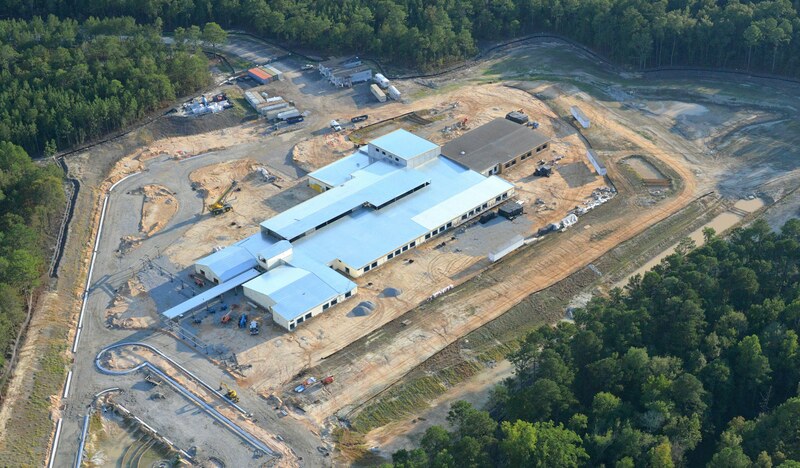 Work is nearly halfway complete on the Pierce Terrace Elementary School at Fort Jackson, S.C. The new pre-K through second grade Department of Defense Education Activity school replaces the existing aging facility. 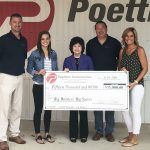 Poettker Construction of Breese broke ground in September 2017 and construction is scheduled to be completed in April 2019. 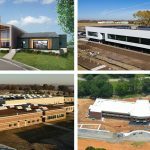 This is the firm’s first project in South Carolina. The $27 million design-build project is funded by the U.S. Army Corps of Engineers and is being constructed for DoDEA. “This has been a unique project,” said project manager Ryan Fuhler. The design phase began in April 2017 and incorporates 21st Century School learning concepts that promote collaboration, problem-solving and innovation. The building features open classrooms grouped into learning pods separated by glass partitions with exposed ceilings, central gathering areas surrounded by learning studios, an information technology center, gymnasium, performance theater, common area for dining and social networking, learning impaired rooms, counseling areas and administrative offices. The 74,000-square-foot school, playground and parking area sits on an 18-acre building site surrounded by trees. Outdoor learning areas include a wind turbine, solar panels, outdoor amphitheater and butterfly garden. The main building uses an insulated concrete forms wall system with conventional steel for the interior diaphragm and standing seam metal roof system to ensure the building meets military blast ratings without the use of additional structural materials. The interior overhead rough in for the mechanical, electrical, plumbing and fire sprinkler system is ongoing along with the metal studs installation at the interior walls. The architect for the project is FGM Architects of O’Fallon. TWM of Swansea is the civil engineer, and Baldridge & Associates Structural Engineering of Chicago is the structural engineer. BRiC Partnership of Springfield has handled the mechanical, electrical and plumbing work. Currently the project is more than 50,000 manhours without a lost-time incident.